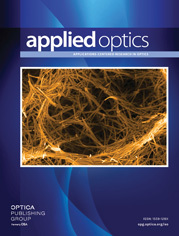 The authors are with the Applied Optics Section, The Blackett Laboratory, Imperial College, Prince Consort Road, London SW7 2BZ, United Kingdom. We describe a general investigation into the scattering of light by human hair. The main features of the intensity distribution produced by light scattered by an individual hair are identified. Qualitative explanations for the features are advanced in terms of the arrangement of the outer structure of the hair and its level of pigmentation. Contrast gloss values are calculated in an attempt to quantify the appearance of hair. These values are found to depend not only on the properties of hair, such as color and condition, but also on the direction and polarization state of the incident light. In assessing the effects of cosmetic treatments on hair, gloss values are shown to be useful where readings from treated hairs are compared with those from a control sample investigated in the same conditions.